Samantha’s Bridal in partnership with Fairmont Norfolk Hotel organized the luxury wedding showcase to give the creme de la creme a chance to showcase what they can offer to sophisticated and discerning couples. It was a taste of what a luxury wedding is all about. At the end of it all, one couple was to win a luxury wedding and Angela and Bill were the lucky couple selected. Angela and William met in the line of duty. It was love at first sight for William but Angela took some time before she said yes to William. In the beginning he looked like a ladies man since he was in the entertainment industry but eventually, Angela got drawn to his charm and outgoing personality. Bill, as his friends call him, proposed twice. He wanted to do it just before the introduction to look like a serious man before Angelas parents. The first time he proposed was when they were on holiday in Mombasa. However, it was bad timing as Angela had just lost her laptop and the long hours at the police station recording a statement on the stolen laptop had just put her in a bad mood. The second proposal was successful as he organised a spa for his heartthrob and afterwards took her to a five star restaurant where he went on one knee. 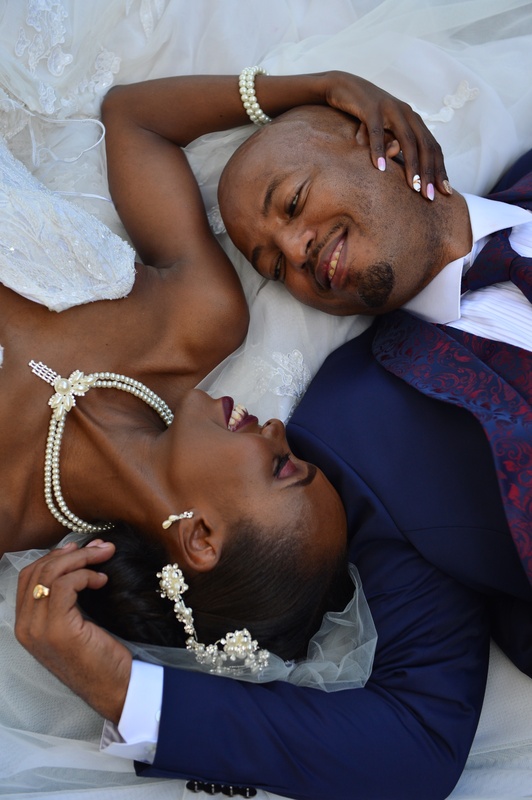 With the proposal and dowry out of the way, Angela, a meticulous bride, began her search for vendors who could translate what she had in mind into a perfect nuptial. It was this search that drove her to the Samantha’s Bridal wedding Expo, which her then fiance wasn’t keen to attend. It was after experiencing the luxury wedding showcase that William gained interest in the whole affair. Angela made him practice how to answer the questions and after the interview, the two, anxious about how the event would turn out, kept their fingers crossed and hoped to be the chosen couple. The win made the planning to be way easier being that the couple knew what they wanted from the start. For William, a wedding is a brides affair and as long as his bride was happy with everything, he was happy. Angelas 8-5 work schedule was her main challenge. The prize covered venue, decor, make up for her and her best maid, rings, 2 cars that took her to the wedding venue, 2 gowns, videography and photography. In addition, their honeymoon as well as the grooms tuxedo was catered for. “For me, it was more than I had envisioned. I loved the venue with the flowers and the deco. The venue looked really great. I cant even compare with the luxury wedding showcase because I think where the wedding was looked much better,” says William. The elegant Louis wedding chair is the latest trend for the most exclusive luxury weddings and Rita Creations incorporated them at the wedding reception. It is a great avenue where the local designers can showcase their designs and make the Kenyan bride realise that everything they desire can be sourced locally. Cocktail drinks: Jos Hansen Ltd.